Man, this is rough. I feel like I’m not fufilling my goals with this project if I don’t come up with a funny or interesting bit of fiction or commentary or something for at least nine out of ten of these things. 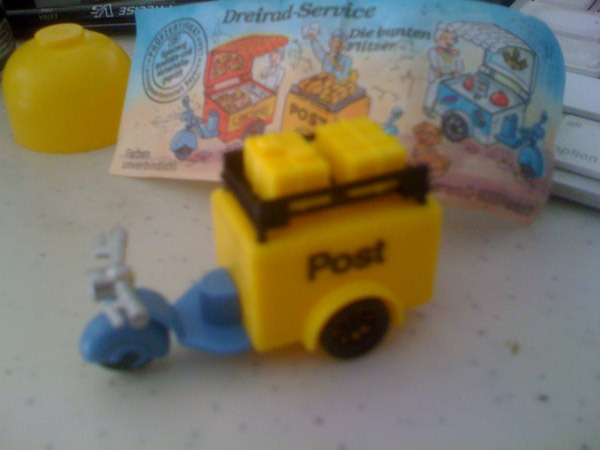 But look at this, it’s a little mail-delivery scooter. What can I say? 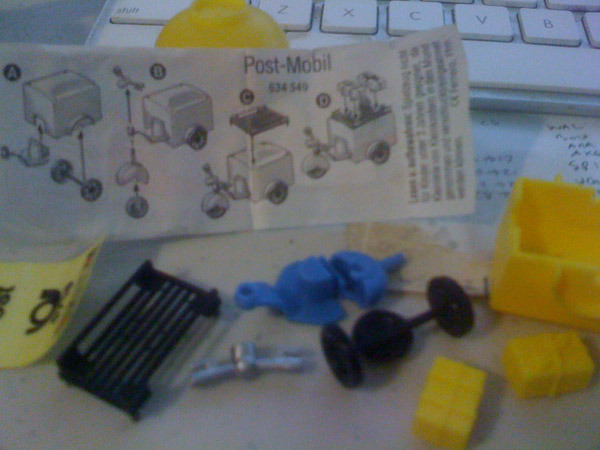 This would be an even worse toy than the cement-moving truck, if it didn’t have the little removable packages on the top. And it had stickers to put on, that’s pretty cool. Okay, new rule: if I honestly can’t think of anything, I get to do a couple stupid limericks instead. But they have to be good limericks. has stumped this American blogger. until he runs over a jogger. or torrented on your computer. than a driving-while-drunk mail carrier. or he’ll deliver it straight up your derrière. Fortunately those limericks are brilliant!